The meals we serve at Dwr y Felin have undergone a huge change. The guidelines on school lunchtime provision issued by the Welsh Government and the changing tastes of the pupils have seen a lot of changes in the food that is served. Dwr y Felin is proudly at the forefront of meeting the school meals food based and nutritional standards. We are also responding well to our pupils needs, not only by providing them with home cooked and nutritious food but also making some very popular items. In addition to our traditional set meal, which includes a dessert and drink for £2.10, we now have a ‘grab and go’ counter which includes homemade delights such as pizza, pasta pots, noodles, panini’s, cheeseburgers and not forgetting the now famous meatball melt. This wonderful range of food is priced £1.20 – £1.70 so is great value too. Dwr y Felin recently had an assessment to see if we are meeting the guidelines laid down by the government and we are proud to say that we have met each criteria and are working towards alternatives to salt and introducing one more fish item during the week to satisfy the criteria. 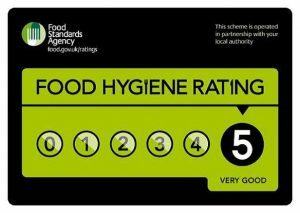 On a final and positive note the school canteen has recently been awarded a 5 star food hygiene rating by the Food Standards Agency for the fourth year running. This means that the food that our pupils eat is prepared to the highest standard by well trained and knowledgeable staff, giving you even more reasons for you child to have a school lunch at Dwr y Felin! An important feature of the new ethos in the canteen is getting the pupils involved. We have produced a questionnaire to gain feedback from pupils regarding their meal preferences which has been positive and shown us that while they of course like ‘fast food’ they also showed a preference for roast dinners and spicy foods. The school has a forum for involving the pupils in their school meals which is the School Nutrition Action Group (SNAG). We try to meet monthly and our current pupil representatives are going to recruit new members. This is an exciting development for us as the pupils involved in the SNAG group will have been involved in developing the menu. Pupils have had the opportunity to prepare and make ‘trial’ dishes in the school canteen kitchen (under teacher supervision) and give food out as tasters to pupils in the canteen and then get feedback. This has been an enormous success and will continue throughout the school year.